Coal is a promising fuel to supplement other fuel sources for domestic cooking. This is especially true in Indonesia where coal is available in large quantity, about 12 billion metric tons. 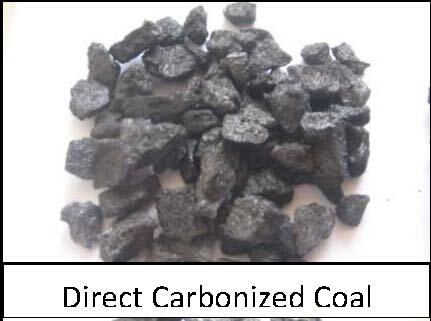 Carbonizing coal increases its carbon content and, at the same time, reduces the presence of harmful substances in it, which is very evident when the coal is used in an ordinary direct combustion stove. This carbonized coal was successfully developed by a group of researchers at the Center for Metallurgy in PUSPIPTEC, Serpong, Tangerang, Indonesia. And in order to utilize this carbonized coal for domestic cooking, a top-lit up-draft (TLUD) type gasifier stove was designed and developed by the Research and Development Division, PT. Minang Jordanindo Approtech, Jakarta Selatan, Indonesia. 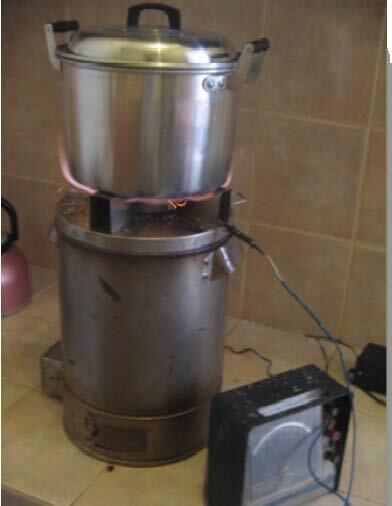 The performance of the stove was evaluated with the assistance of Franciscus Trya Garleman and Daniel Belonio. (2) Fuel Reactor, (3) Insulation, (4) Cover, (5) Grate, (6) Ash Chamber, and (7) Fan. The gas burner is a modified version of the burner used for the rice husk gas stove, where secondary air is injected from the periphery of the burner plate. The fuel reactor is an 8-cm diameter by 20-cm high stainless steel tube, where the fuel is gasified by introducing limited amount of air. The reactor is provided with insulation, using rice husk ask and cement mixture as refractory material. The cover is used to close the reactor. Beneath the reactor is a grate, made of stainless steel perforated sheet, to hold the fuel. The ash chamber is where the by-product of gasification is discharged right after operation, and is subsequently disposed. And the fan is used to supply the air needed for gasification. 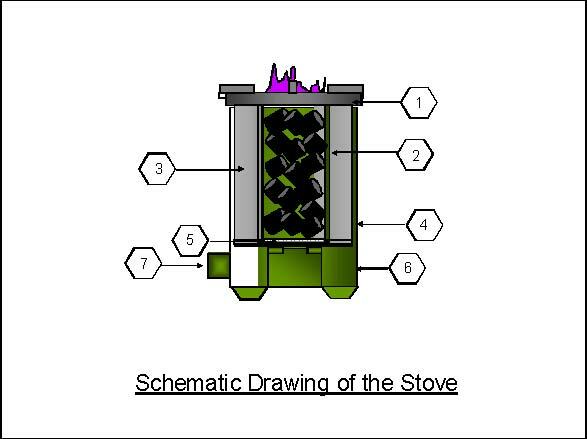 The stove was tested using direct carbonized coal (DCC) and indirect carbonized coal (ICC) as fuel. 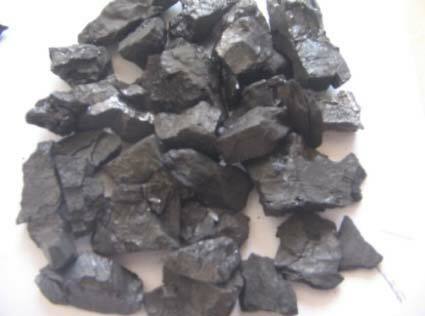 The direct carbonized coal was obtained by carbonizing raw coal at about 600 to 700° C flame temperature, whereas the indirect carbonized coal was obtained by burning the coal inside a metal container of the same temperature to control the removal of volatile matters. Results show that either type of carbonized coal can be successfully gasified in the TLUD gasifier, with pinkish-blue flame color. Fuel consumption rate of the stove ranges from 0.58 to 0.72 kg/hr and is found to be higher for ICC as compared with that of DCC. The specific gasification rates of the stove are 115 kg/hr-m2 and 143 kg/hr-m2 for DCC and ICC, respectively. It was also found out that both types of carbonized coal are quite difficult to ignite when using either paper or kerosene as igniter. Using 20 grams of small pieces of wood charcoal, however, was found to be a good igniter for the coal, which only takes 1 to 2 minutes to ignite. The temperature of the burning coal, which was measured inside the reactor using pyrometer, ranges from 700 to 900°C. 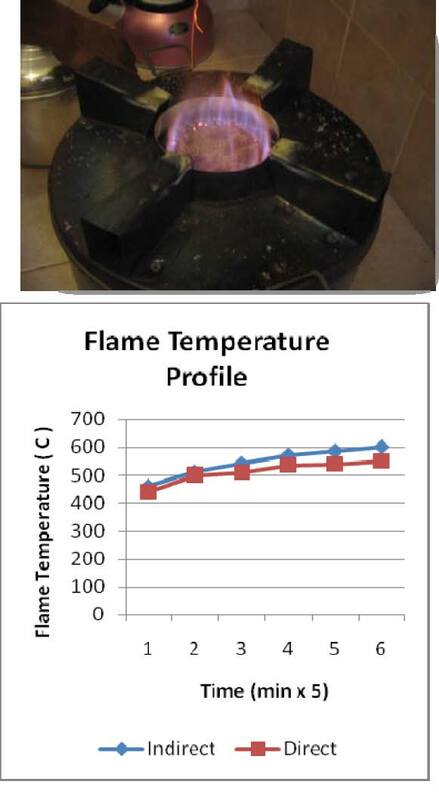 On the other hand, the flame temperature which was measured at the bottom of the pot ranges from 400 to 600°C and was found higher for DCC. The thermal efficiencies of the stove using carbonized coal are 26.7% for DCC and 28.0 % for ICC. One and a half liters of water can be boiled within 9 and 8 minutes for DCC and ICC, respectively. During the testing, undesirable odor was smelled from the gas emitted when operating the stove using DCC but no undesirable odor was smelled when using ICC. The stove costs about Rp120.000,00 per unit (1US$=9630Rp), which is competitive with the prices of similar stoves in Indonesia. Comparing with other conventional stoves, the carbonized coal gasifier stove has an operating cost of Rp1,189.86 per hour while Rp1,552.42 per hour and Rp1678.11per hour for kerosene and LPG stoves. The investment cost for the stove can be recovered within 6 months. Further information regarding the stove can be obtained from the President Director, PT Minang Jordanindo Approtech, ADHI GRAHA Bldg., 15th Floor Suite 1502A, Jl Gatot Subroto Kav. 56, Jakarta Selatan 12950, Indonesia. Telephone: 62-21-5262545, Fax: 62-62-215262416; and Email: mjapprotech@yahoo.com while info regarding carbonized coal can be obtained from the Head, Extractive Metallurgy Division, Metallurgy Research Centre, Indonesian Institute of Science, Serpong, Indonesia. Telephone: 62-21-7560911, Fax: 62-21-7560553, Email: immanuel1951@yahoo.com.